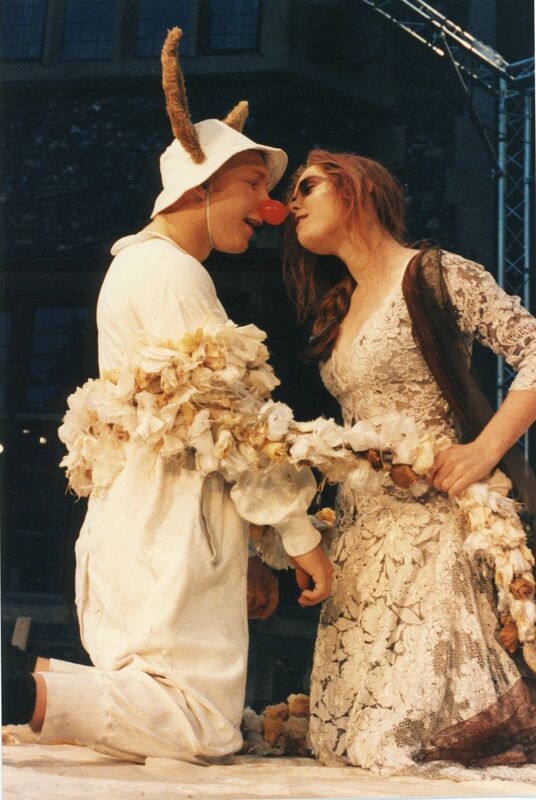 A Midsummer Night’s Dream has been the most popular King’s Week play. The 2011 production was the sixth. Andrew Dobbin’s second Dream was set in a boxing ring in the Mint Yard. As in 1984 there were three Pucks: Harry Emanuel, Tom Grant and Eliot Shrimpton. Of the other players, James Rawlings (Bottom) is an actor and comedy writer, Oliver Kent (Theseus) later appeared in the film Mrs Brown and is a television producer for series such as Casualty, and Susie Trayling (Helena) is now a professional actress. The first Orchestral Concert in this year was billed as the Orchestra’s “very own Last Night of the Proms”. Programmes came complete with a Union Jack to wave during the final section of Sir Henry Wood’s ‘Fantasia on British Sea Songs’ – ‘Rule, Britannia’. The Headmaster, Anthony Phillips, was the narrator in ‘Peter and the Wolf’. Colin Metters conducted. Other highlights included Anouilh’s Le Bal des Voleurs in the Memorial Court, Alex Driskill-Smith playing Grieg’s Piano Concerto, and the Jazz Concert, enlivened by the new ‘King’s Jazz Orchestra’ banners.